While most S&P 500 companies will report earnings results for Q1 2019 over the next few weeks, about 5% of the companies in the index (25 companies) had reported earnings results for the first quarter through yesterday. Given the expectations for a year-over-year decline in earnings for Q1 (and for Q2), have these companies discussed specific factors that had a negative impact on earnings or revenues in the first quarter (or are expected to have a negative impact in future quarters) during their earnings conference calls? To answer this question, FactSet searched for specific terms related to several factors (i.e. “currency,” “China,” etc.) in the conference call transcripts of the 23 S&P 500 companies that had conducted first quarter earnings conference calls through yesterday (April 11) to see how many companies discussed these factors. FactSet then looked to see if the company cited a negative impact, expressed a negative sentiment (i.e. 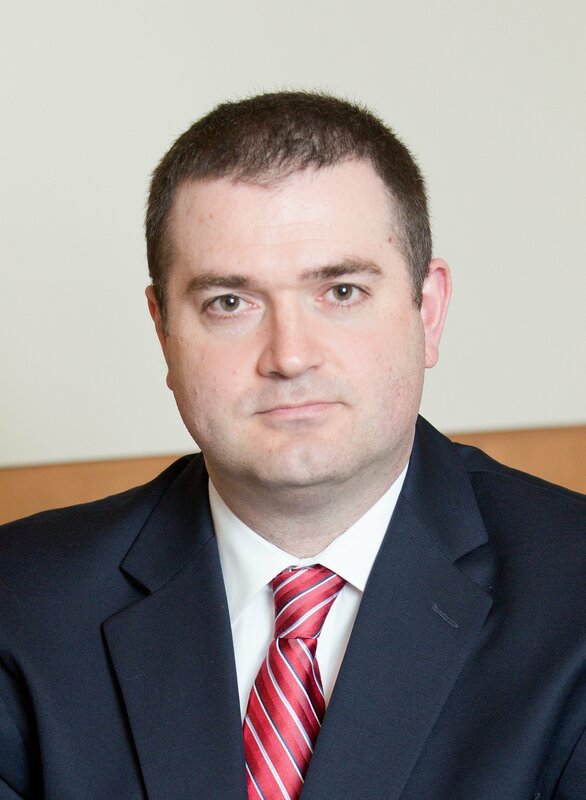 “volatility,” “uncertainty,” “pressure,” “headwind,” etc. ), or discussed clear underperformance in relation to the factor for either the quarter just reported or in guidance for future quarters. FactSet also compared the number of companies citing these factors in the first quarter to the number of companies that cited these same factors in the fourth quarter through approximately the same point in time (through January 11). The results are shown below. Foreign exchange has been cited on the most earnings calls to date (13) as a factor that either had a negative impact on earnings or revenues in Q1 or is expected to have a negative impact on earnings and revenues in future quarters. However, few of these companies discussed specific currencies that had weakened or were expected to weaken against the U.S. dollar. The number of companies citing a negative impact from FX in Q1 is roughly the same as the number of companies that cited a negative impact from this factor in Q2 (12) at about the same point in time. 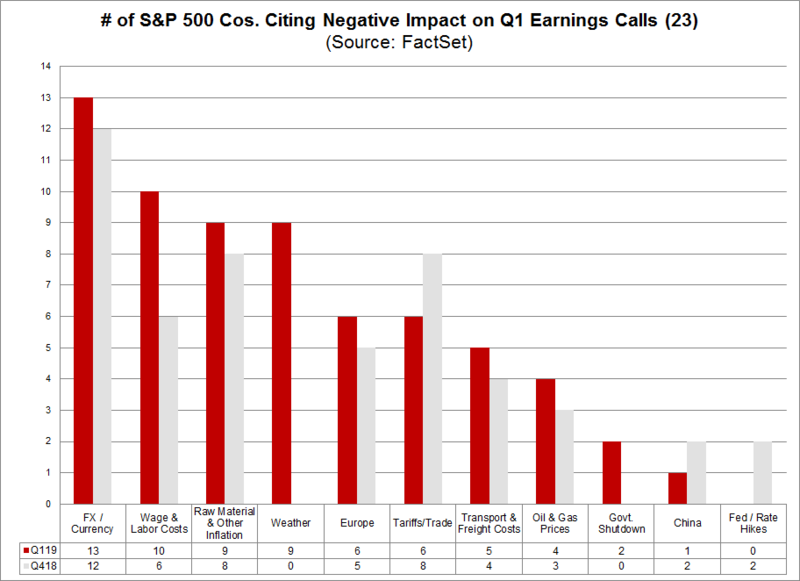 Higher wages and labor costs were cited on the second highest number of earnings calls (10) as factor that either had a negative impact on earnings in Q1 or are expected to have a negative impact on earnings in future quarters. This factor also witnessed the second largest increase (+4) in the number of companies citing the negative impact of this factor relative to Q4, trailing only weather (+9). A list of the companies citing negative impacts from higher wages and labor costs (and their specific comments) can be found on the next two pages.